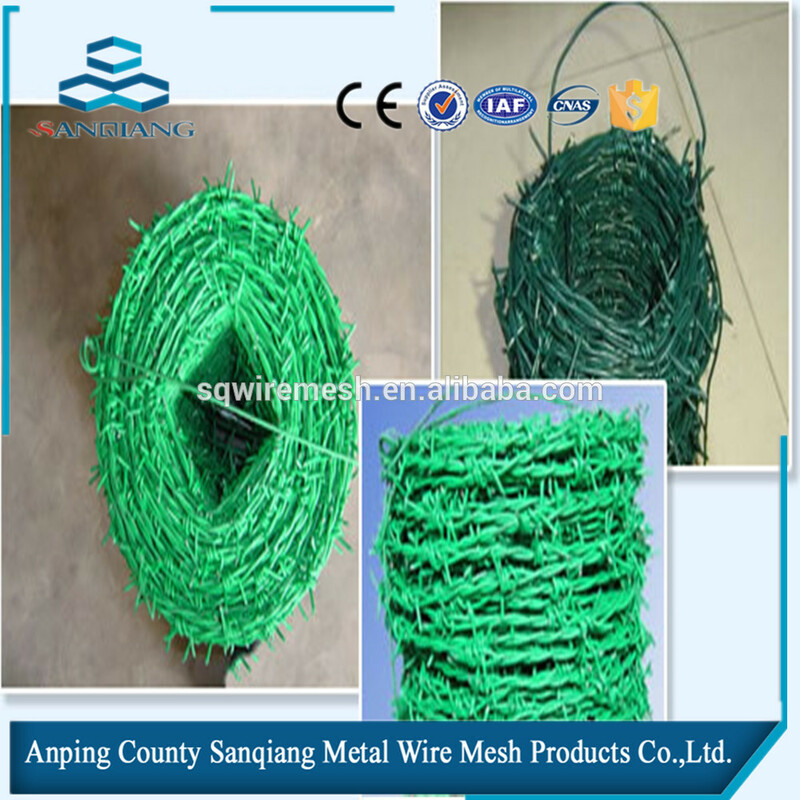 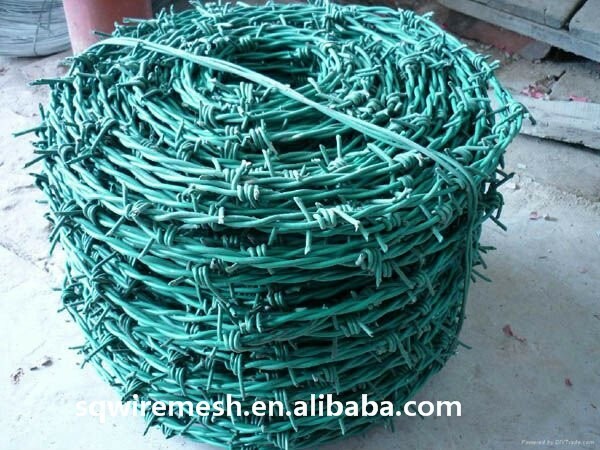 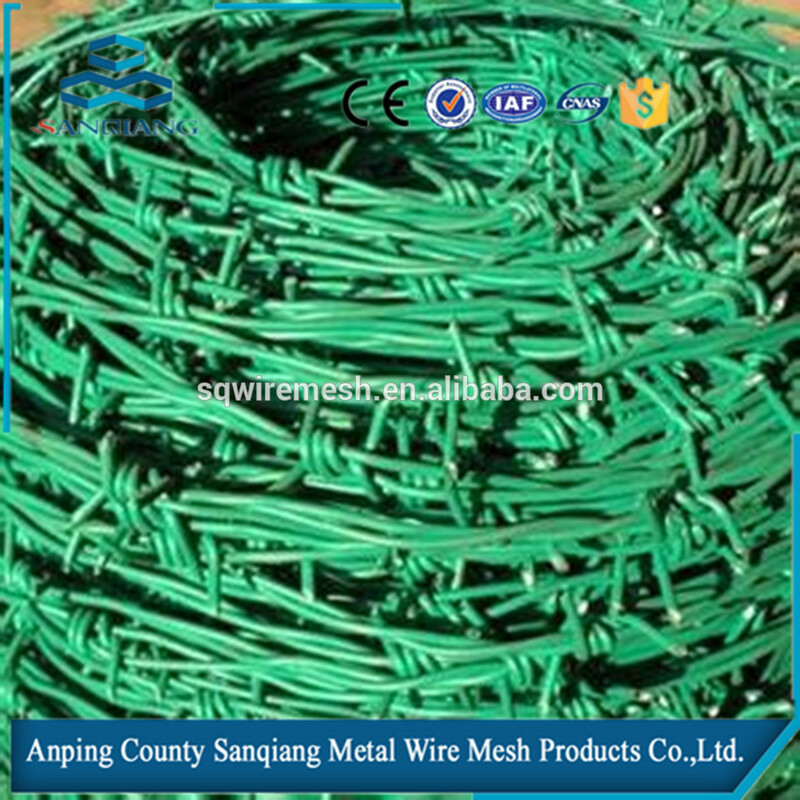 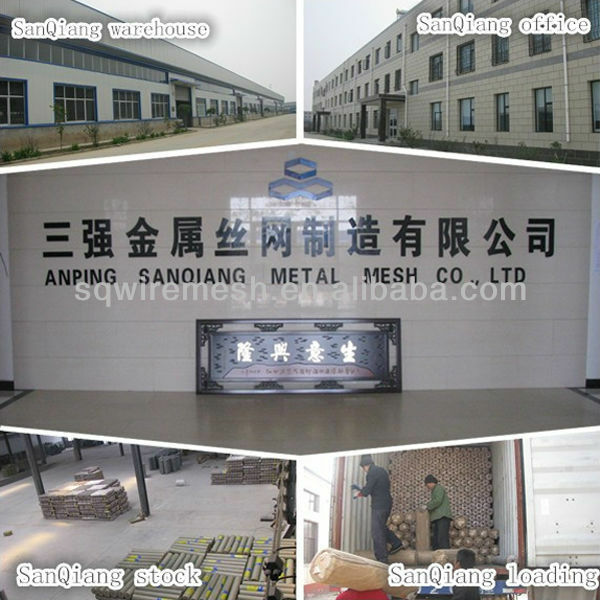 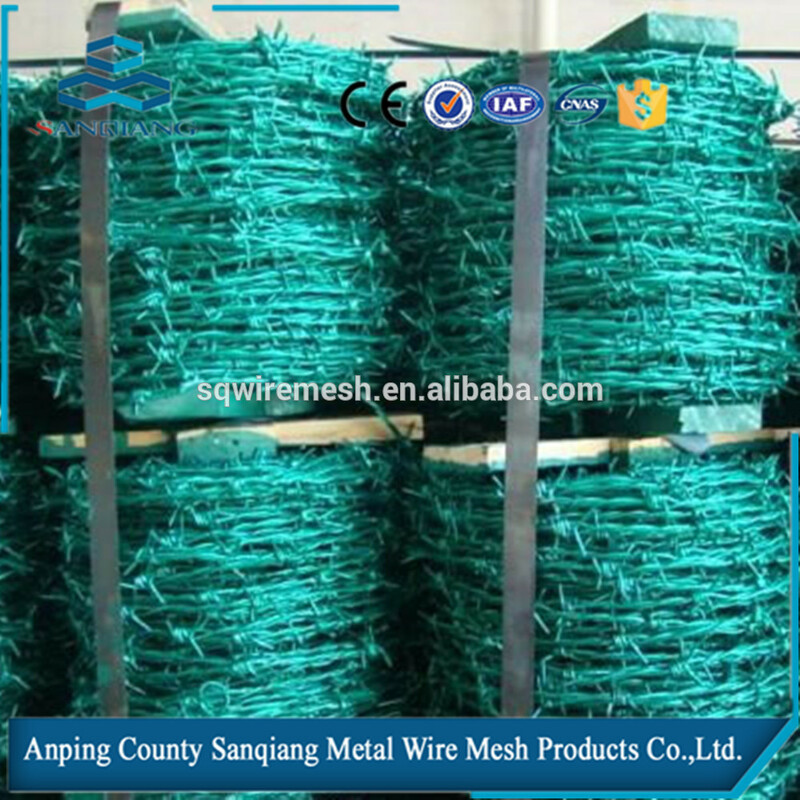 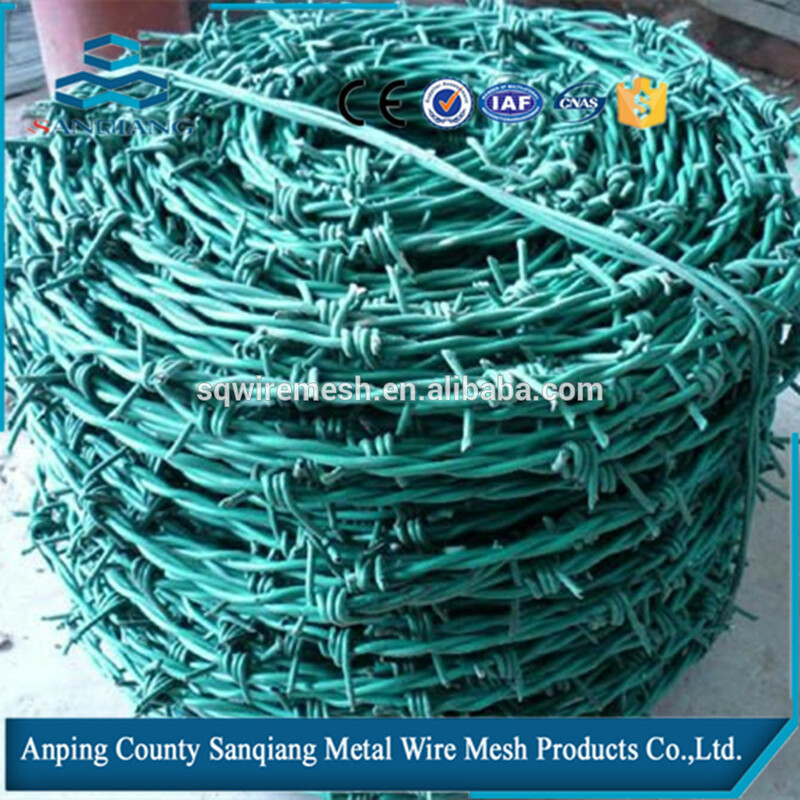 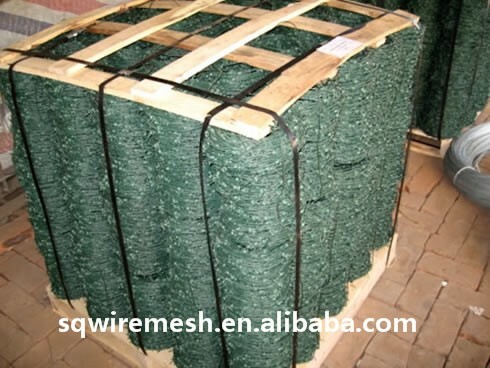 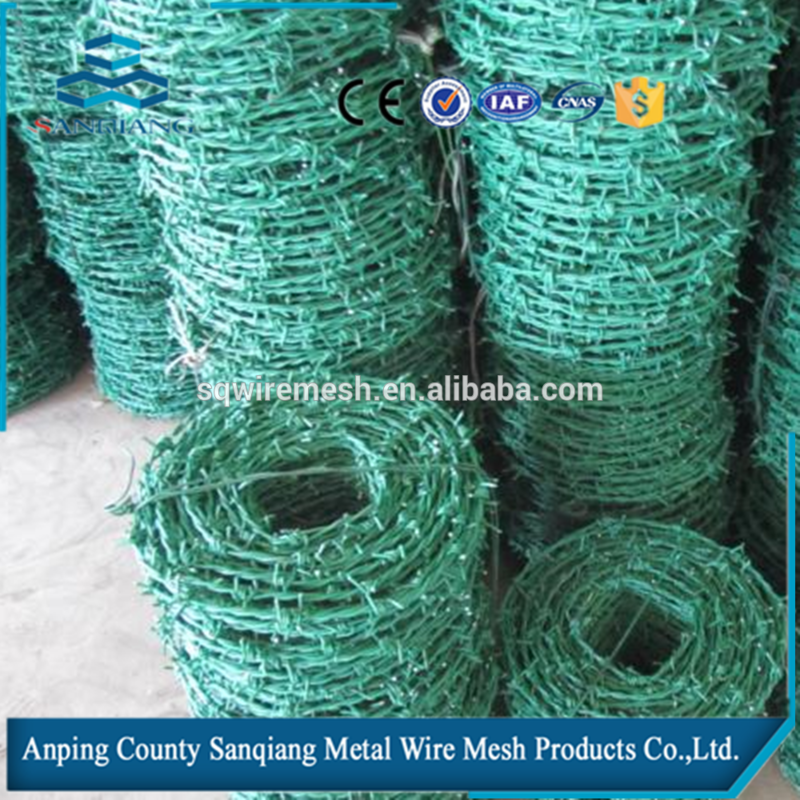 SanQiang hot salePVC Coated Barbed wire length per roll /barbed wire fence/barbed wire price alibaba express - Buy Product on ANPING COUNTY SANQIANG METAL WIRE MESH PRODUCTS CO., LTD.
Packaging Details: wrapped with plastic cloth inside, plastic woven bag outside.Every 20 bundles are wrapped with steel strip, into one large bundle. 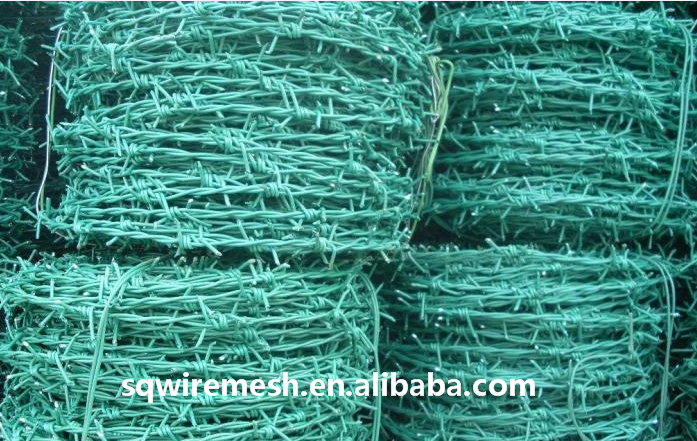 Barbed Wire: 100m/roll, 250m/roll, or as require. 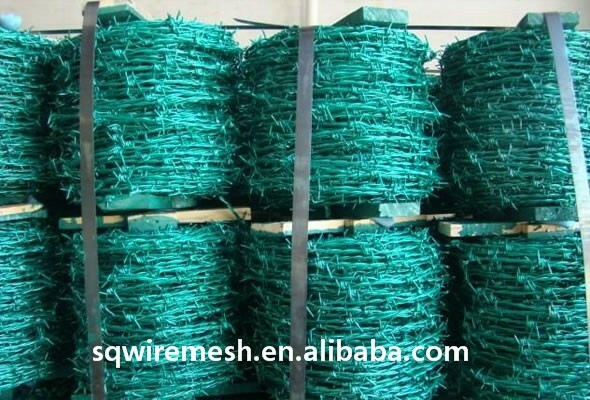 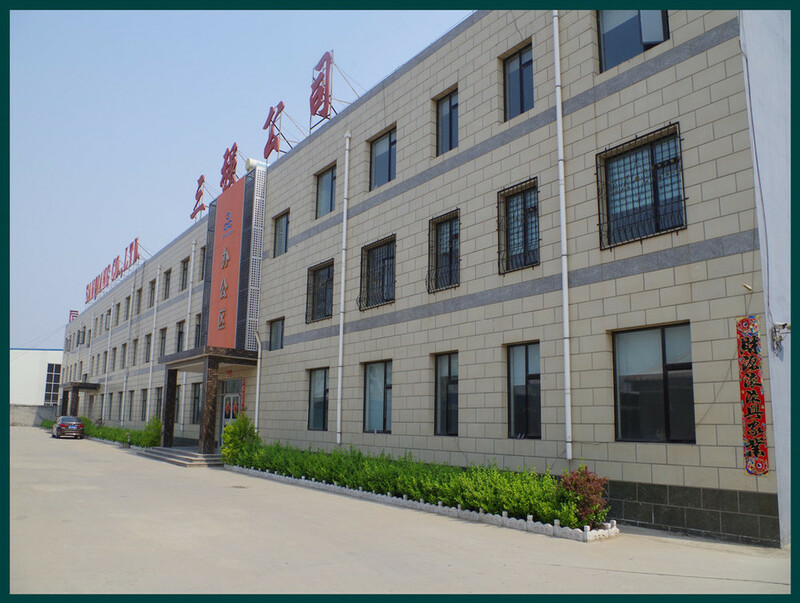 Barbed wire is a kind of modern security fencing materials fabricated with razor-sharp steel blade and high-tensile wire . 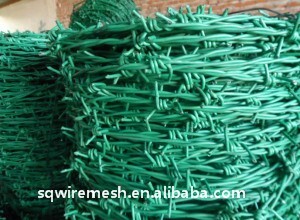 Barbed wire can be installed as deterrent to the perimeter intruders , with piecing and cutting razor blades mounted at the top of the wall . 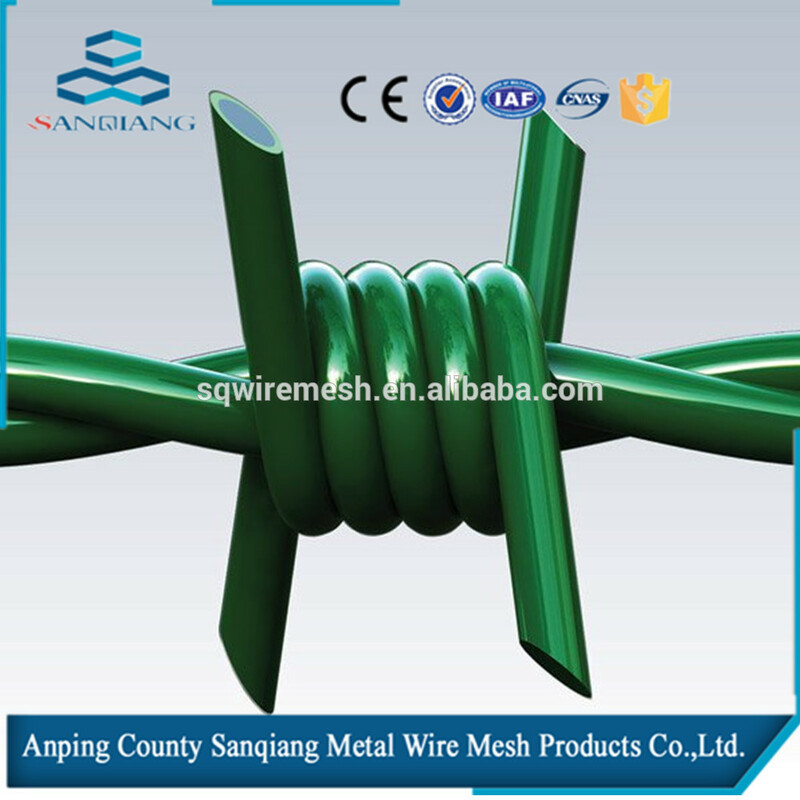 the special designs make climbing and touching extremely difficult . 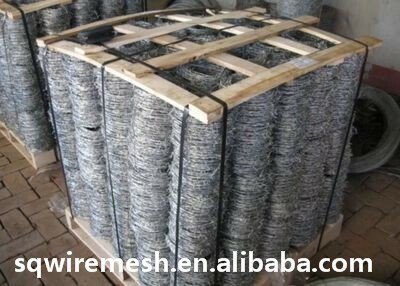 The wire and strip are galvanized to prevent corrosion .